Reminder: Inspired Stamps has issued a month-long challenge for love/miss you cards - check it out! This week's tutorial is brought to us by our very own Julie! 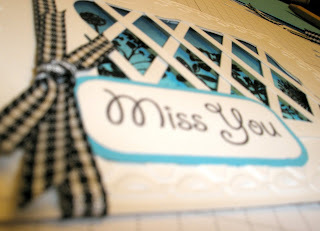 Be sure and leave a comment, or drop by her blog at Handmade by Julie to let her know how you liked it. 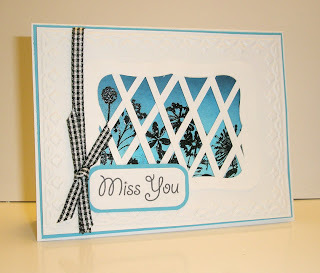 Today I'll be showing you how to make a dimensional lattice card. 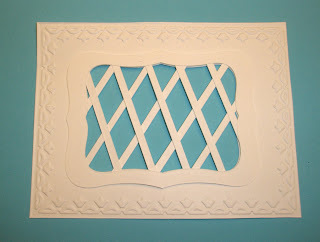 Step 1: Cut a piece of cardstock to 5.25" x 4" and then using the smaller of your two dies, cut a window into it. 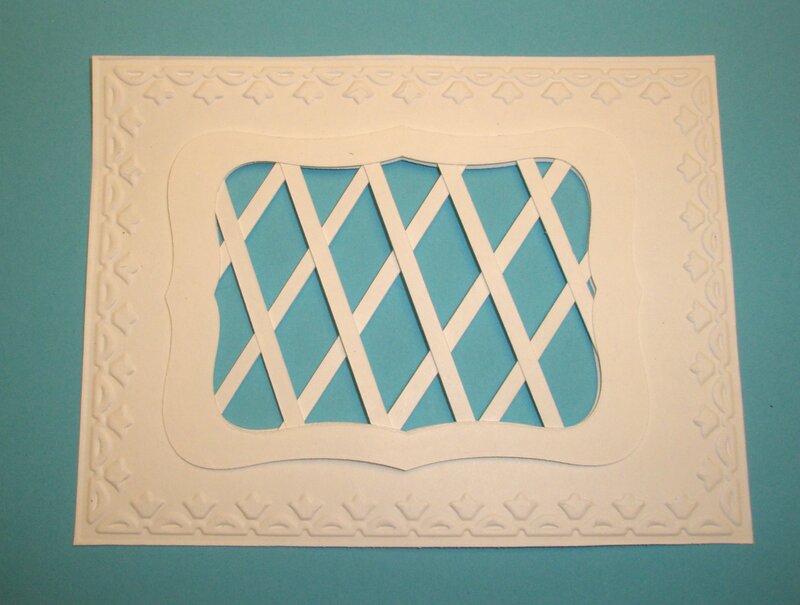 If desired, you can then use an embossing folder to dry emboss this window piece before proceeding. Step 2: Use a second piece of the same color cardstock with both dies to create a frame. 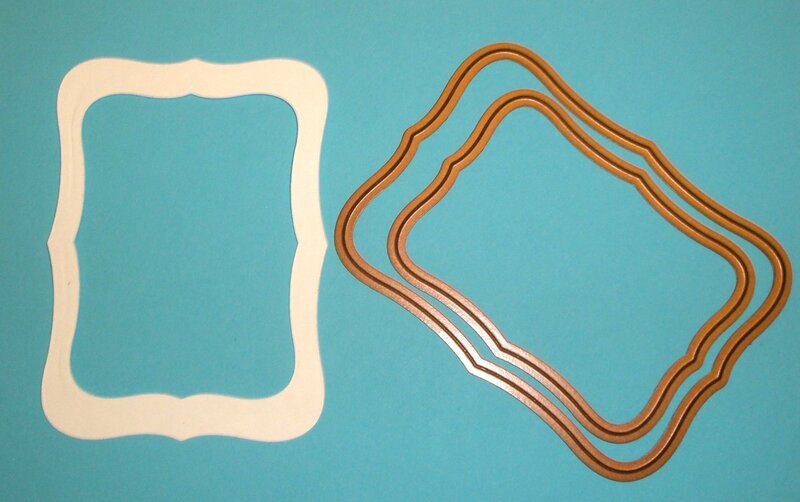 Tip: I used a little masking tape to hold my dies and cardstock in place while running through my diecutter. 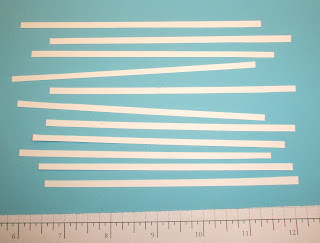 Step 3: Using the same color cardstock, cut several strips that are 1/8" wide and at least 4" long. 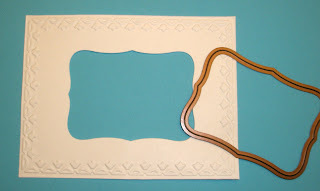 Step 4: Run a bead of glue around the back of your frame, then glue strips on, first at one angle, then back across at another angle as shown. 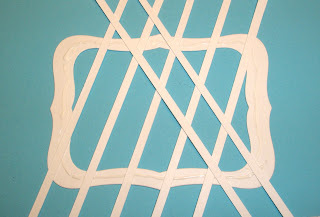 Set aside to let your glue dry before trimming off the excess strips hanging off the edge of your frame. 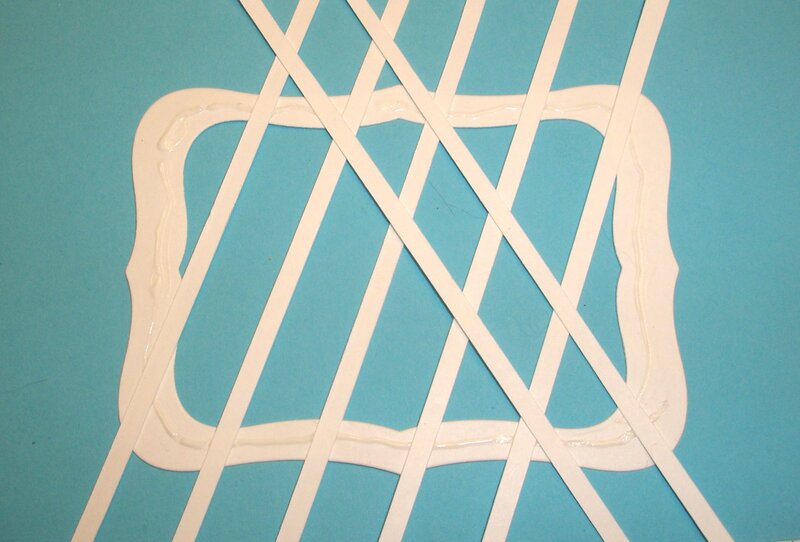 Step 5: Adhere to the window piece from step 1 using dimensional adhesive (foam tape, pop dots, etc). 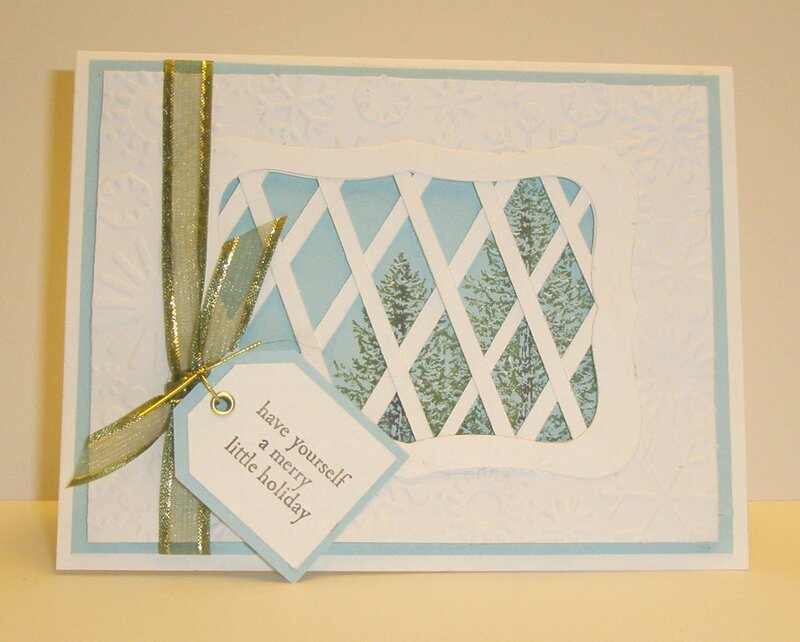 Step 6: Adhere the latticed window over your stamped image. 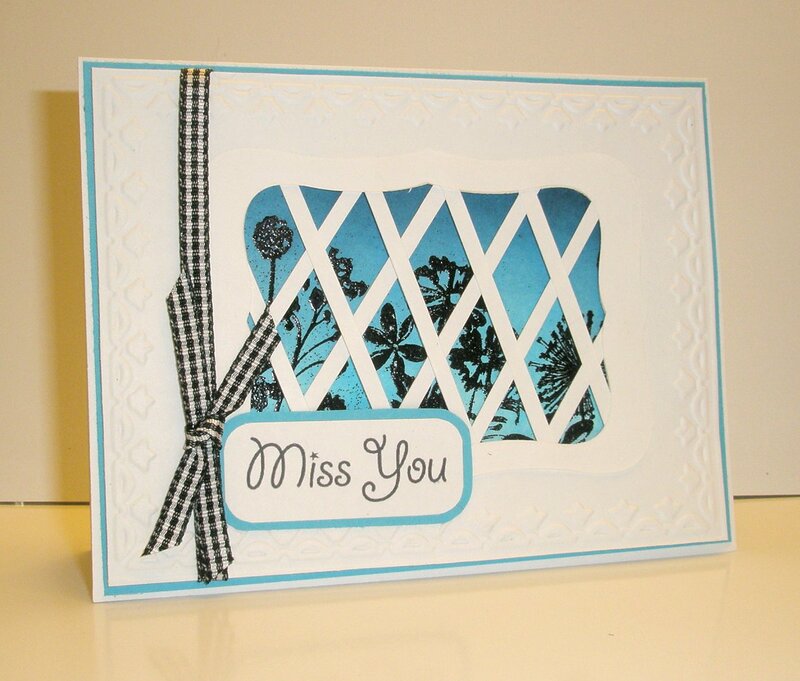 Tip: Use a bold stamped image that easily shows through your lattice. 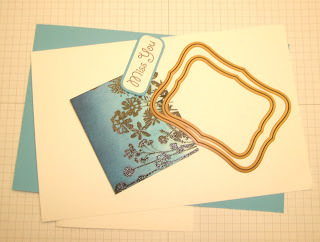 Step 7: Add ribbon, sentiment, and mat with coordinating cardstock to complete your card. Love this idea. Thank you so much for showing us how. Julie, Thanks for the wonder tutorial. I'm going to find time to try this this week. You did it look easy. It has such an elegant look to it. Great tutorial! 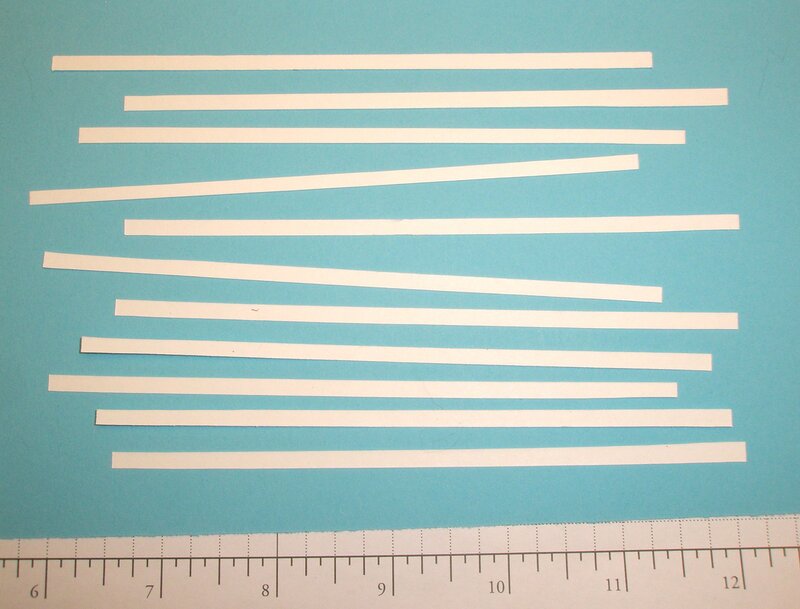 The results are wonderful and look much more complex then it seems to be when following these clear directions. Straight application of the bars could give you a window feel too... you've gotten me wheels spinning now! Julie, what a great tutorial!! Thank you, I love this look!! 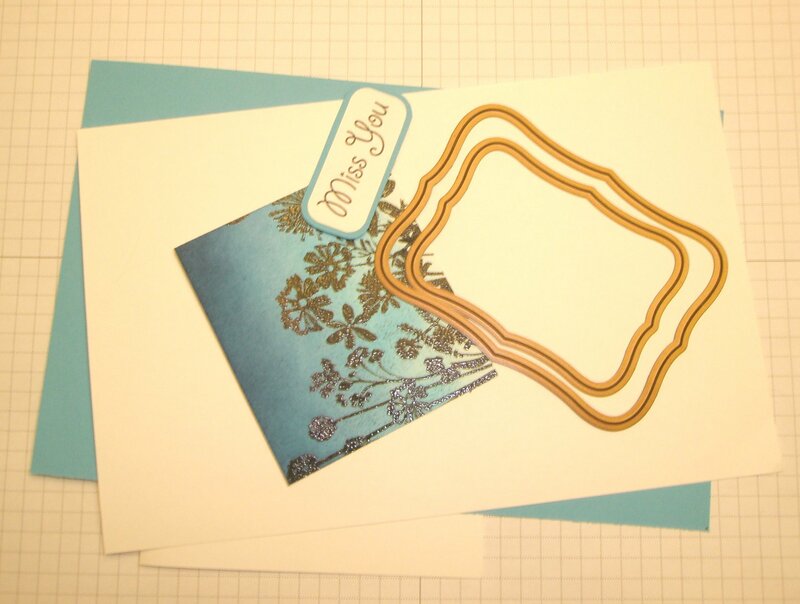 Gorgeous card, Julie! Thanks for the fun tutorial; can't wait to try it! Thanks for the wonderful tutorial. Can't wait to try the technique. Thanks Julie. What a great idea. OK, off to the craft table to CASE this one! This is beautiful. Will give it a try!! Thank you for making it look so easy! Very pretty! Will try this for sure!! Pat K.
I dont' have the nestabilites but I did have a frame that I had cut out with a cricut at Michael's. This one was fun!